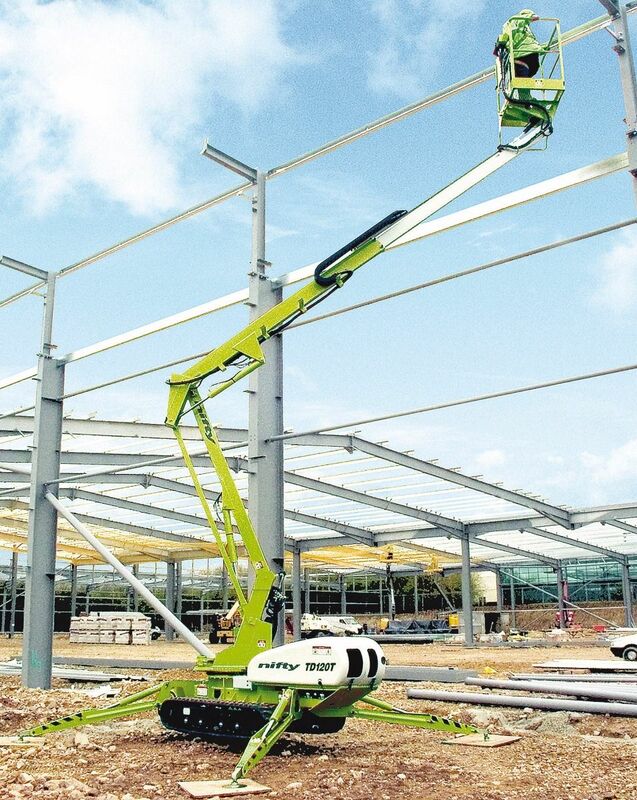 The Niftylift TD120T is a tracked boom lift combining outstanding traction with very low ground pressure. 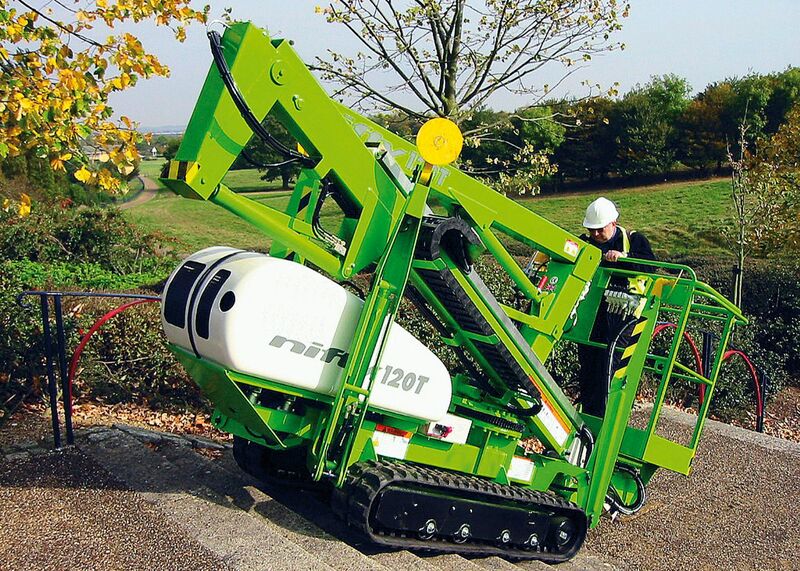 Up to 60% gradeability makes light work of steep slopes or rough terrain, while the weight-saving design ensures it is economical to run. 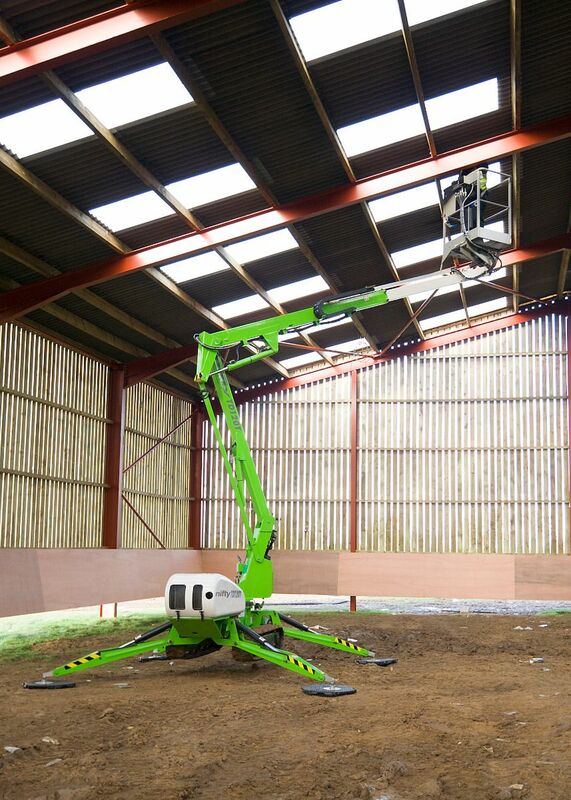 The combination of diesel engine and mains-powered electric motor means that the Niftylift TD120T is equally comfortable working outdoors or inside buildings. Options include non-marking, rubber-free urethane tracks, for operations on sensitive or expensive flooring.